Boron Analysis Cartridge | OndaVia, Inc.
Boron is a naturally-occurring water contaminant with potential negative effects on human health, agriculture, and oil & gas production. Water produced from oil and gas wells may contain boron at levels exceeding 25-ppm, while boron levels above a few parts-per-million will impact the growth of various agricultural products. This presence of boron limits beneficial reuses of produced water. In addition, boron affects the crosslinking of gels used in hydraulic fracturing. Knowing the naturally-occurring boron levels enables operators to optimize crosslinking chemistries. 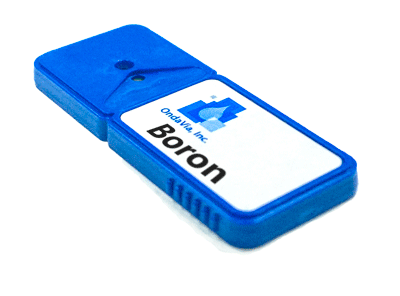 The OndaVia Boron Analysis Cartridge provides an easy-to-use, sub-five-minute test for boron in the ppm-range.